Why I read it: I think I found out about it from a Goodreads newsletter a few months ago, and it sounded interesting. I also thought the papercut design on the cover was really pretty! Vaclav and Lena, both the children of Russian émigrés, are at the same time from radically different worlds. While Vaclav's burgeoning love of performing magic is indulged by hard-working parents pursuing the American dream, troubled orphan Lena is caught in a domestic situation no child should suffer through. Taken in as one of her own by Vaclav's big-hearted mother, Lena might finally be able to blossom; in the naive young magician's eyes, she is destined to be his "faithful assistant"...but after a horrific discovery, the two are ripped apart without even a goodbye. Years later, they meet again. But will their past once more conspire to keep them apart? This is a story about things that change and things that don’t change; things that are known, things that aren’t known, and things that shouldn’t be known. It’s about love and beauty and ignorance and pain and sorrow. This book was so good, I cried a bit when I finished it. I hadn’t read a book this touching in a long time. Vaclav and Lena are so cute, and I loved that, while this could have just been a cute love story, Tanner made it so much more complex—to the point where at times I wasn’t sure if I was really rooting for Vaclav and Lena to be together or not. Vaclav’s love for Lena is heartbreaking, and it is so difficult during parts of the novel to watch Lena take advantage of him and manipulate him. And while this makes Lena seems horrible, she’s just messed up, and no matter what she says or does, we know that she still loves Vaclav. Anyway, going past the nonsensical gushy stuff and onto some specifics. The novel is split into four parts, two of which follow the characters while they’re together, and the other two detailing their time apart (from an omniscient third-person perspective), and I think that this was a great way to split up the novel. I also loved Vaclav’s obsession with magic, which continues even once the story switches to him as a teenager. The concept of not letting go of the characters’ childhood is a big theme throughout the novel, and Vaclav’s magic really helps with this. The one thing about this theme that got kind of annoying is that, even when they were 17 years old, Vaclav and Lena still seem very naïve and immature, to the point where they really sound exactly the same as they did at age 10. At times this wasn’t very believable, but at the same time, I do think that part of the point is to contrast the ways the two characters do and don’t change, so that aspect certainly doesn’t ruin the novel for me. Beyond that, there were certainly problems with the novel—the end is a bit abrupt, and there’s a side of Lena that keeps resurfacing but that Tanner never fully deals with, making it hard to guess what happens after the end—but honestly, I don’t even care, because all of the good parts of this novel are just so good. 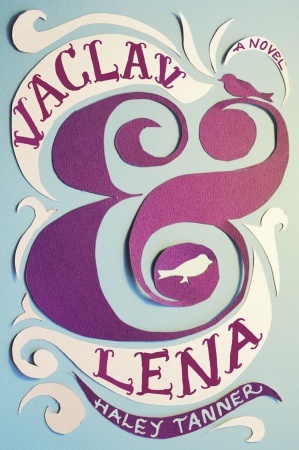 I’m sure Vaclav and Lena isn’t for everyone, and I may very well just be a sap, but especially as the author’s debut novel, it really is wonderful. I have never heard of this book but all I know now is that I WANT IT! Magic, Russia, orphans, love!? YES. Sounds so gooood! Sounds adorable! Oh definitely going to read this one! I bought this one when Borders was going out of business for dirt cheap! I haven't gotten to it but I'm def excited to bump it up. Unfortunately (and fortunately) it's on loan to a friend at the moment! She loved it too! I haven't heard of this, but it sounds really adorable! Adding it to my wish list now :) I love that you say it complex in a way that you weren't sure if you really were rooting for them or not. To me, that can make for a really good read because it often has more depth (and readability) than a relationship where two people are just "perfect" for each other and have no problems/obstacles. Oh, I liked this one so much. It reminded me in some ways of Sara Zarr's Sweethearts.